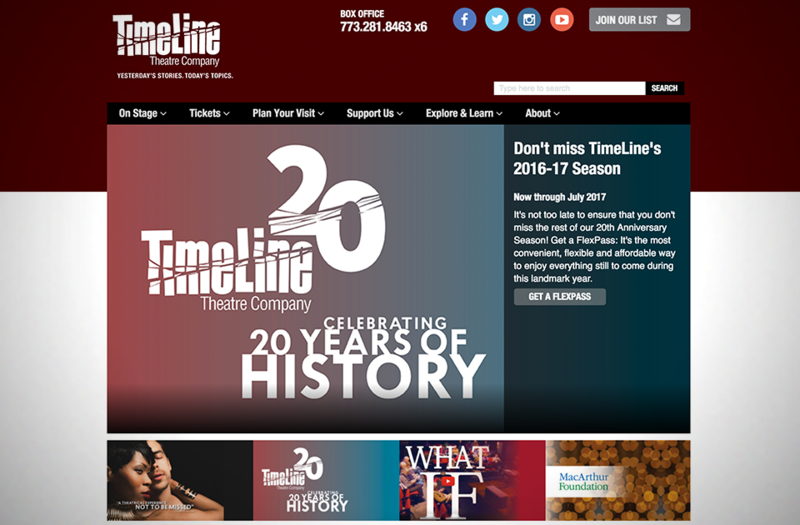 TimeLine Theatre Company presents stories inspired by history that connect with today’s social and political issues, and enjoys a devoted and engaged subscriber base that sustains full houses for extended runs. However, their site was reflecting its age – it offered no options for patrons on mobile devices, and required extensive manual edits to present a wide array of content. 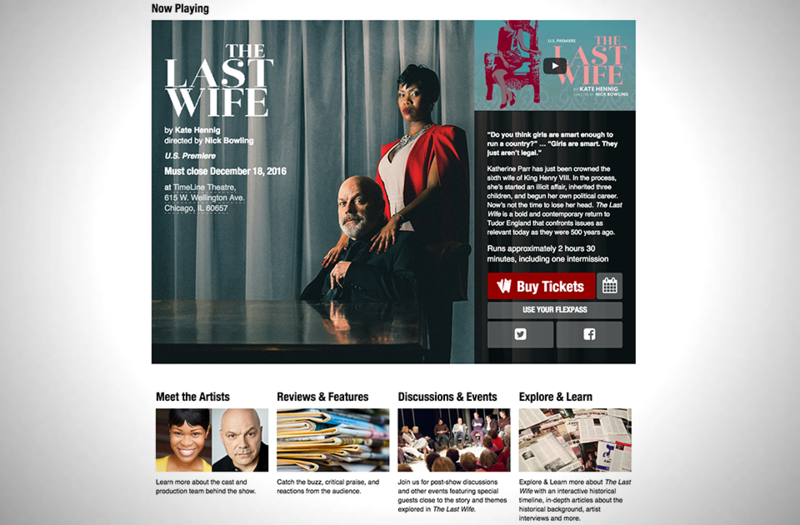 While the box office made the switch to a modern CRM-powered ticketing system, we built a web platform that would minimize content management time and grow with the company as they expand their reputation from Chicago to a national stage. 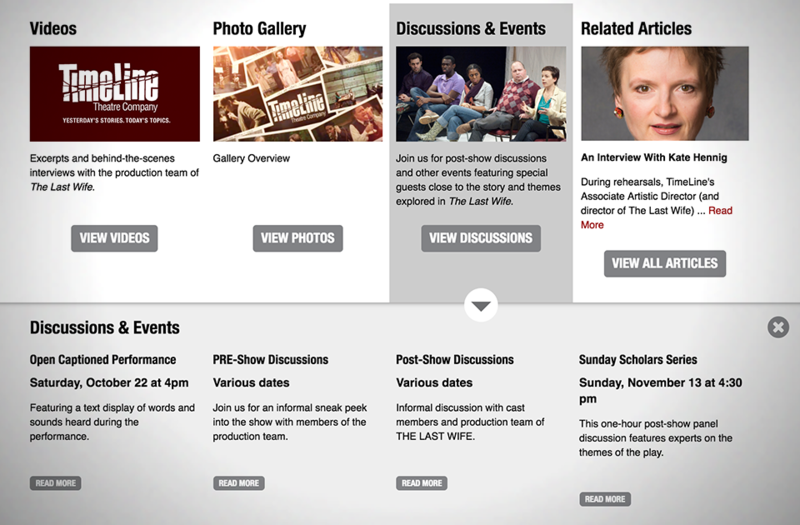 Building on TimeLine’s unique strengths – a depth of dramaturgical content and an audience hungry for that content – we devised features to allow patrons to first experience the play firsthand, and then browse and dig deeper into the history behind each production both online and through special educational events. 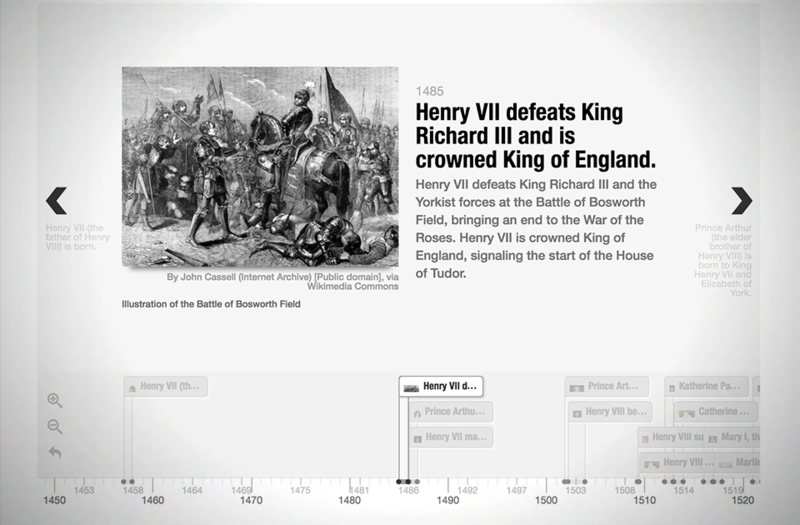 An interactive “Explore and Learn” timeline exhibit maps the major events behind each story with supporting video, images, and stories. 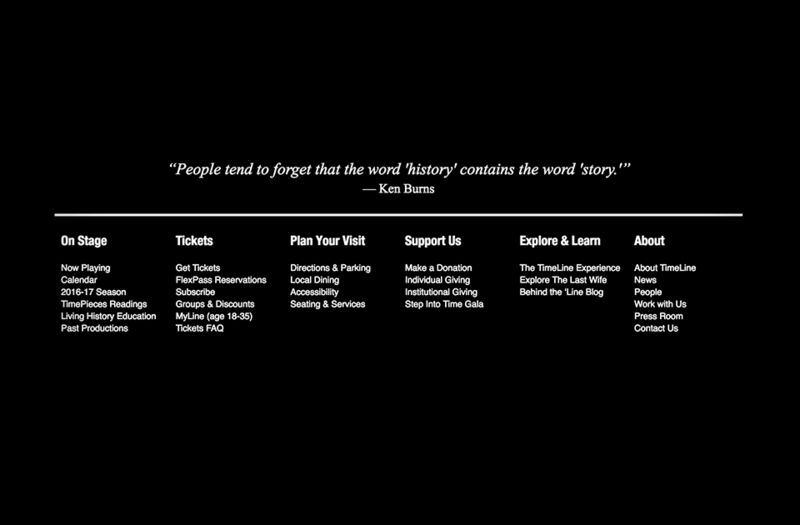 Detail pages for the performers and designers tell the history of TimeLine itself, allowing patrons to track the careers and see upcoming projects from their favorite artists. 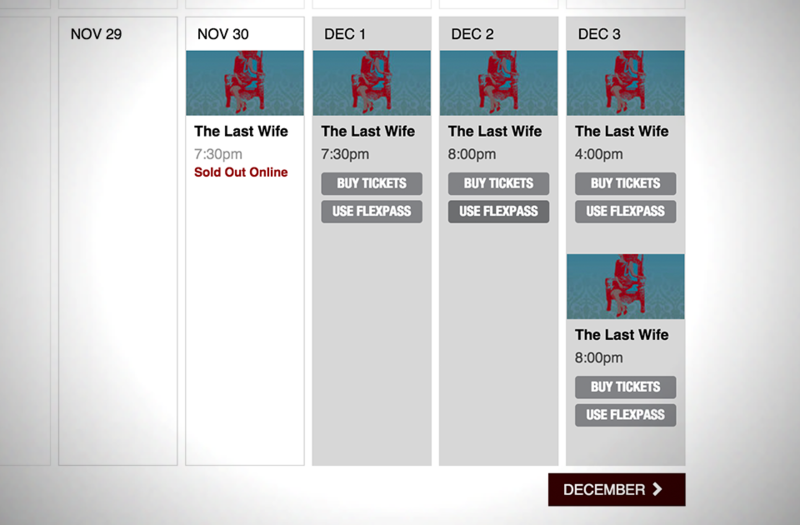 Finally, the event calendar is set up to support both new single ticket sales and a reservation workflow for their large flexpass-holding audience.